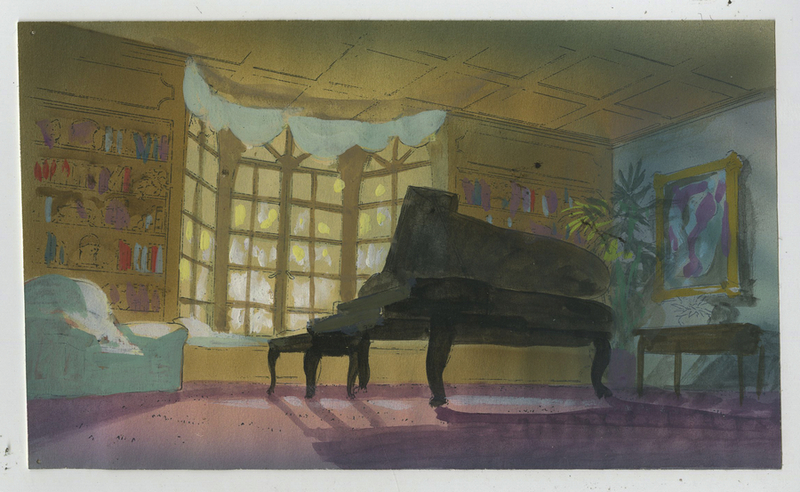 This is an original background color concept from the Walt Disney Studios feature film, Oliver and Company. This concept was created by James Coleman and was created at the studio and used in the development of the film. This particular concept is a xerox drawing that has been hand-colored with marker and paint. The overall piece measures 3.75" x 6.25" and the image takes up the entirety of the piece. The concept is in good condition.